However, you only need to add one email address to your back office at “Customize Web Site” > “Customize Website Info”, which will be receiving everything submitted to your website. Click “Forwarders” and create a “Forwarder“. This simply forwards email to an existing email address, e.g. 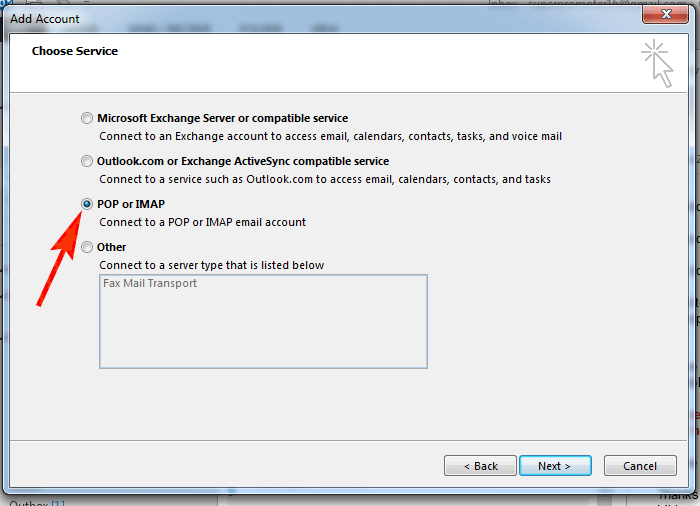 Under “Email Accounts” Create a new email address. The process of creating the emails is pretty straight forward. 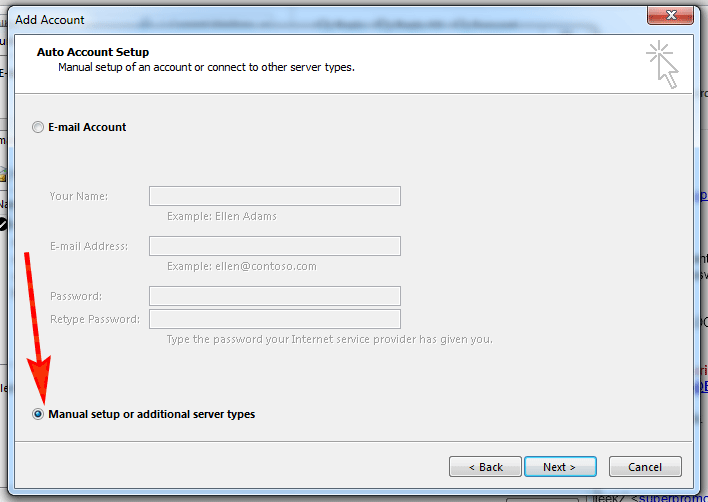 Username: mailboxname@[yourdomain] Password: Password you designate for the mailbox. Password: Password you designate for the mailbox. Microsoft has a good guide here. Click “Next and Finish, and you are done! 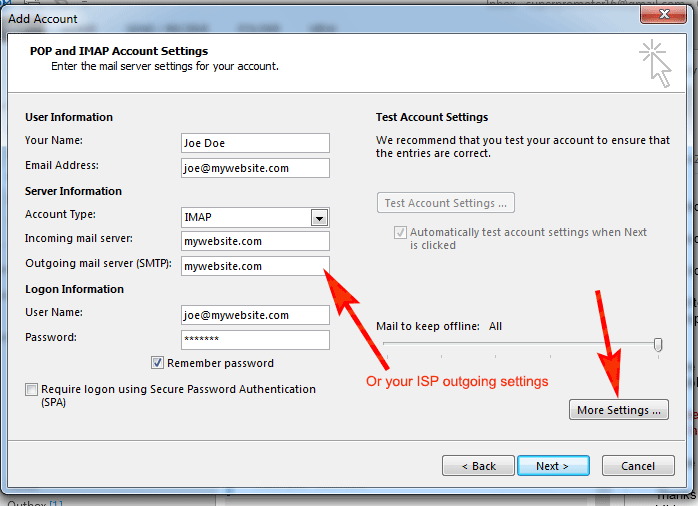 If everything works, “Test Account Settings” should test clean and you should be able to fetch and send email. Outgoing mail server: mywebsite.com or Contact your ISP for this. This is discussed in this article.